Hiroshima was implanted in the hearts and minds of everyone when, on August 6th 1945, the Allies dropped the Atom Bomb in a sadistic effort to end WWII. Destroying everything within a 2km radius, titanic efforts were made to rebuild the city, including her castle, feudal gardens and monuments. Today, Hiroshima is an exciting place to visit, full of fascinating historic sites and spine-chilling reminders of the horrors of war. Ideal for history fanatics, check out our collection of the best places to stay in Hiroshima to find out more. Home to over 1 million people and the principal city of the Chugoku region, it was once wrongly believed that the city would never be inhabitable again, after that fateful day of August 6th 1945. The couldn't have been further from the truth. Hiroshima-jo, the city's castle, was beautifully and perfectly reconstructed: once the seat of the Five Great Elders, it was the heart of feudal squabbles in pre-modern Japan. If you're lucky enough to visit in the springtime, you will see the castles' grounds come alive with cherry blossom. The great rebuilding efforts extended further. Old heritage sites like the Shukkeiein Garden were reconstructed and redesigned with care and skill, and newer parks like the Peace Memorial Park breathed new life into the physically, mentally and spiritually damaged city. The Atom Bomb Dome, a UNESCO World Heritage Site, stands at the epicentre of the Peace Memorial Park and is a fascinating, albeit haunting place to visit. The only building left standing in the Bomb's hypocentre - the hottest and most destructive ring of atomic hellfire - it bares a flame that will not cease burning until every nuclear weapon in the world is destroyed. Miyajima Island, Hiroshima's neighbour, takes 20 minutes to get to and is well worth the short trip. As you arrive by ferry, floating through the gates of the Miyajima Shrine, you come face-to-face with wild and curious deer at the harbourfront; further on stands the red-striped temples, dedicated to the Shinto deity of storm and sea. You will also fin the Museum of Art on this island, a fantastic exhibit of works by the likes of Picasso and Monet! In Hiroshima itself is the City Museum of Contemporary Art, a brilliant display of the local art scene in the city. Explore Hiroshima-jo, the city's castle, and drink in the glory of the cherry blossom. Head out to Miyajima Island and pay your respects to the Shinto shrine of sea and storm! Check out the local arts scene at the Hiroshima City Museum of Contemporary Art. Hiroshima is well worth the trip. A modern city full of haunting reminders of humanity's unimaginable capacity for cruelty, it is an experience of a lifetime. The best places to stay in Hiroshima will surpass your every expectation. 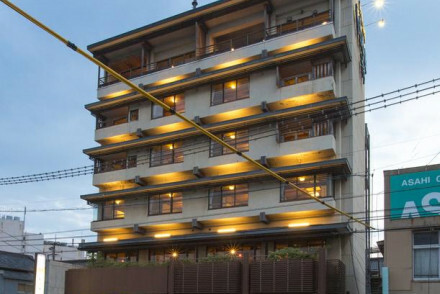 Hiroshima Hana Hostel: an effortlessly cool blending of traditional Japanese aesthetic with chic and contemporary sensibilities. Featuring either dormitories with bunk beds or private rooms with futon bedding and tatami flooring. Centrally located, ideal for sightseeing on a budget. Female-only dorms available and guests can enjoy free use of the massage chair. Great for young people. 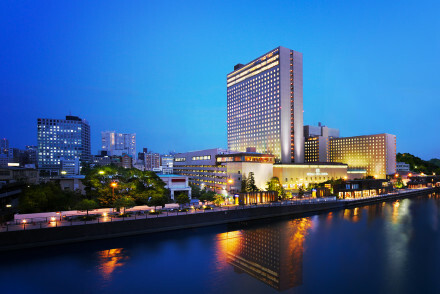 Sheraton Hotel Hiroshima: just a stone's throw from the major sights, offering stylish and bright rooms with TV's, a pampering spa, swimming pool and gym. Perfect for businessmen. Rihga Royal Hotel Hiroshima: great for families, the spacious and contemporary rooms are smart and upmarket. There is a spa, gym and foodies will fall in love with the 6 different restaurants. A truly spoiling stay. The best time to go is during the summer, when the temperature ranges between 19 and 32 degrees. Make sure you go after April, when the cherry blossom blooms full into view. 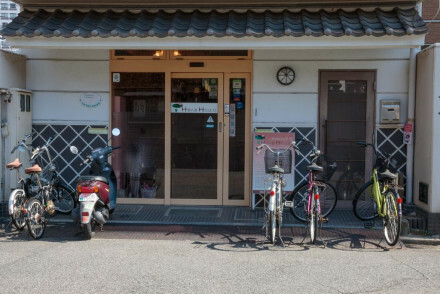 Centrally situated, Hiroshima Hana Hostel offers dormitories with bunk beds or private Japanese-style accommodation featuring futon beds and tatami flooring. Female-only dorms are also available. Unwind in the free-use massage chair after a long day sightseeing! A lovely and friendly budget stay. Value chic - Accommodation at a superb price given the location! 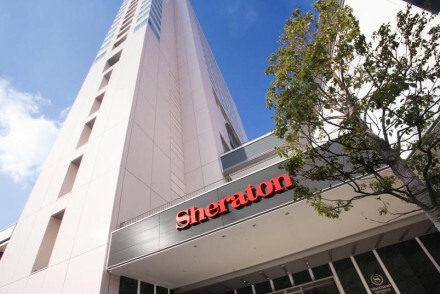 The contemporary Sheraton Hotel Hiroshima boasts a superbly central location just a stone's throw away from the city's sights. Chic accommodation provided and each room comes with its own refrigerator as well as a flat-screen TV. Be sure to try their fantastic breakfast buffet! A smart city spot. Located in downtown Hiroshima, the 4* Rihga Royal Hotel Hiroshima offers contemporary accommodation featuring bold bed covers and dark wood furnishings. A smart and upmarket city stay! Foodies - Enjoy a wide variety of splendid food at each of their 6 restaurants! Keishokan Sazanamitei is located in the port town of Tomonoura. It offers smart and traditional Japanese accommodation with ocean views whilst some even have their own open-air bath! Enjoy superb meals at their restaurant. A classy coastal spot, perfect for groups.